THE MATERIALS AND SERVICES PROVIDED AT THIS SITE ARE PROVIDED "AS IS" WITHOUT ANY WARRANTIES OF ANY KIND INCLUDING WARRANTIES OF MERCHANTABILITY, FITNESS FOR A PARTICULAR PURPOSE, OR NON-INFRINGEMENT OF INTELLECTUAL PROPERTY. Plexstar further does not warrant the accuracy and completeness of the materials or services at this Site. 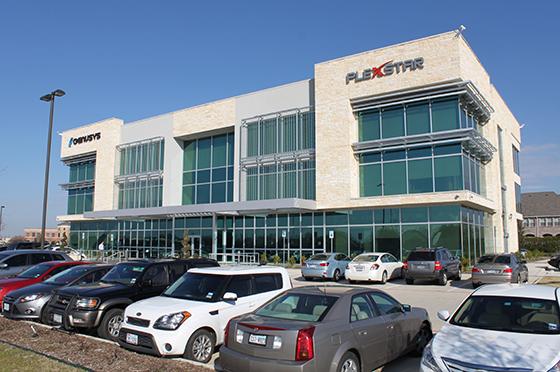 Plexstar may make changes to the materials and services at this Site, or to the products and prices described in them, at any time without notice. The materials and services at this Site may be out of date, and Plexstar makes no commitment to update the materials and services at this Site. Information published at this Site may refer to products, programs or services that are not available in your country. Consult your local Plexstar business contact for information regarding the products, programs and services that may be available to you. Applicable law may not allow the exclusion of implied warranties, so the above exclusion may not apply to you. IN NO EVENT WILL Plexstar, ITS SUPPLIERS, OR OTHER THIRD PARTIES MENTIONED AT THIS SITE BE LIABLE FOR ANY DAMAGES WHATSOEVER (INCLUDING, WITHOUT LIMITATION, THOSE RESULTING FROM LOST PROFITS, LOST DATA OR BUSINESS INTERRUPTION) ARISING OUT OF THE USE, INABILITY TO USE, OR THE RESULTS OF USE OF THIS SITE, ANY WEB SITES LINKED TO THIS SITE, OR THE MATERIALS OR INFORMATION OR SERVICES CONTAINED AT ANY OR ALL SUCH SITES, WHETHER BASED ON WARRANTY, CONTRACT, TORT OR ANY OTHER LEGAL THEORY AND WHETHER OR NOT ADVISED OF THE POSSIBILITY OF SUCH DAMAGES. IF YOUR USE OF THE MATERIALS, INFORMATION OR SERVICES FROM THIS SITE RESULTS IN THE NEED FOR SERVICING, REPAIR OR CORRECTION OF EQUIPMENT OR DATA, YOU ASSUME ALL COSTS THEREOF. APPLICABLE LAW MAY NOT ALLOW THE EXCLUSION OR LIMITATION OF INCIDENTAL OR CONSEQUENTIAL DAMAGES, SO THE ABOVE LIMITATION OR EXCLUSION MAY NOT APPLY TO YOU.